Click here to see our options for all of your prescription glasses needs. Click here to see our options for all of your prescription contact lense needs. Thank you for visiting our website, we are pleased to welcome you to our office! 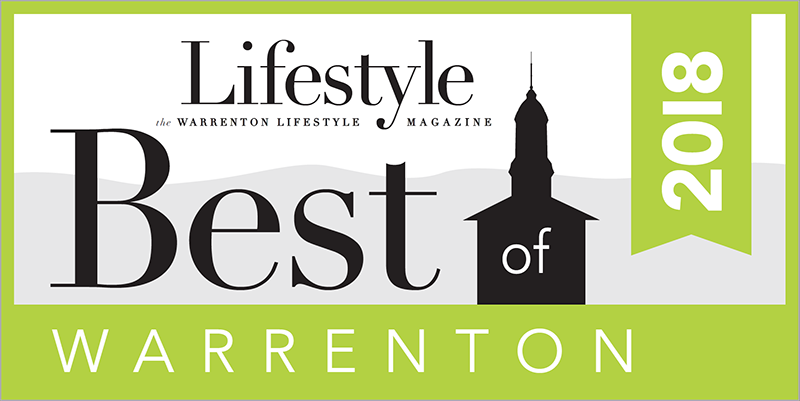 Having provided quality family vision care to Fauquier County and the surrounding area since 1979, we are proud to have been voted Best of Warrenton by the community for 2018 in the Warrenton Lifestyle Magazine. This is the fifth time our office has been selected by the public as the best eye care provider in Warrenton! We care about our patients and strive to provide the best vision care possible to each individual person. These awards are a testimony of our commitment to the people of our community and we will continue to provide the individualized care each person of this community deserves. We appreciate our patients and their continued support and trust in us through the years. As eye care professionals, we are committed to dispensing the highest quality eyewear and the newest, most healthy contact lenses available. Our doctors are also able to treat eye infections, glaucoma, remove foreign bodies from the eye, co-manage LASIK and cataract surgery, monitor for progression of macular degeneration and more. Our doctors know the best, most qualified ophthalmologists for any surgeries that your eyes may require. If your eye is irritated, red, or in any way uncomfortable, just give us a call. We will take care of you! Our practice is conveniently located 2 blocks from Fauquier High School on Waterloo Road. We look forward to serving you and your family’s needs soon!